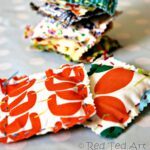 Oooh this is so simple and yet soooo satisfying – lavender bath sachets. 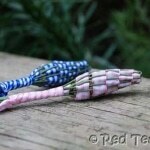 I have TONS of lavender all over the house, that I cannot keep up with making lavender wands and lavender bags. 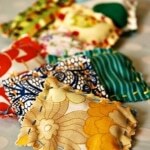 So, I decided to make some of these lavender sachets as a simple (but oh so lovely) gift to a friend! 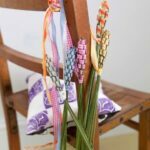 1) Make sure your lavender is fully dried – I do so, by either hanging it upside down to dry, or putting it loosely into a paper bag. 4-5 weeks later it is usually done. Just check for dampness. You can then either remove all the stalks or decide to leave them on. It doesn’t matter too much. I decided to remove them. 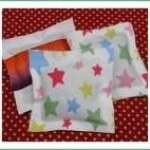 2) Sew a little cotton bag – or use on that you may have lying around – be sure the colours don’t run. I think approx 8cm x 12 cm dimensions is good. I made this one in less than 5 minutes and stitches some little hearts on with a slip stitch. Fill your little cotton bag to brim with lavender. It needs to be nice and full. Hang the bag under the tap and run a hot bath. Give the little bag a good squeeze (like squeezing out a tea bag) 3-4 times and place back under the tap. Lay back in your bath and RELAX. Once finished, empty out your bag, wash it and let dry. Then refill it with fresh lavender the next time. This jar contains enough lavender for 3-5 baths. 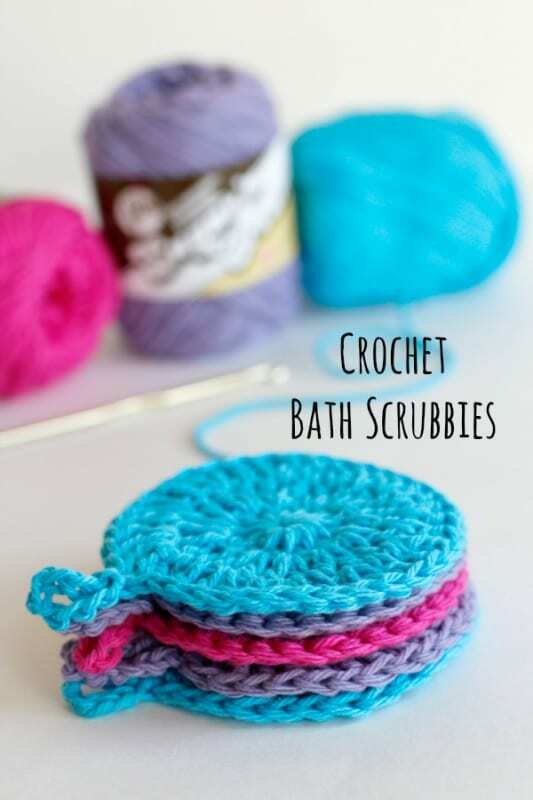 Why not make some Crochet Bath Scrubbies to go with it? 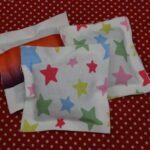 It is important that you give your sachet a good squeeze – you know when you make a cup of tea and squeeze that and all the tea flavour pours out? Well.. it is just like that! 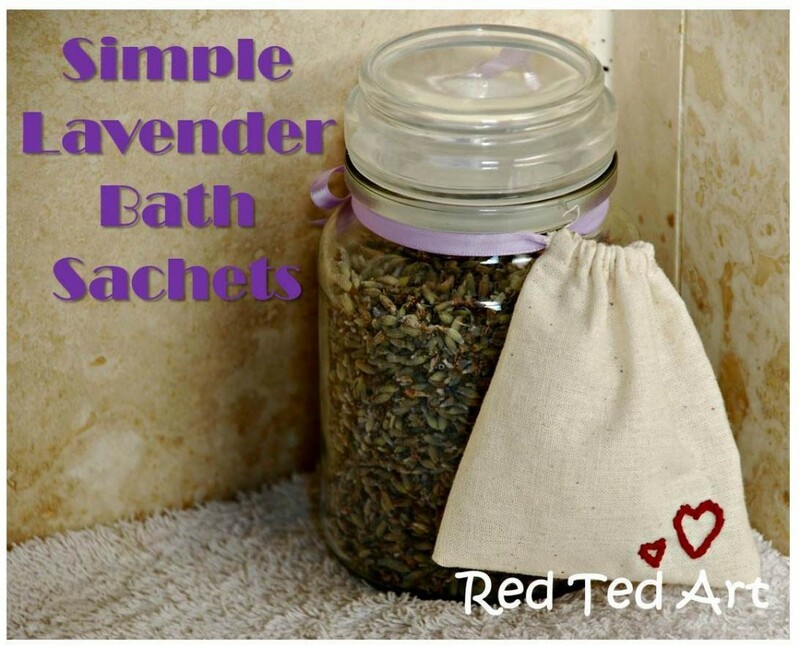 Each bag should have approx 1/4 – 1/2 a cup of lavender in it. 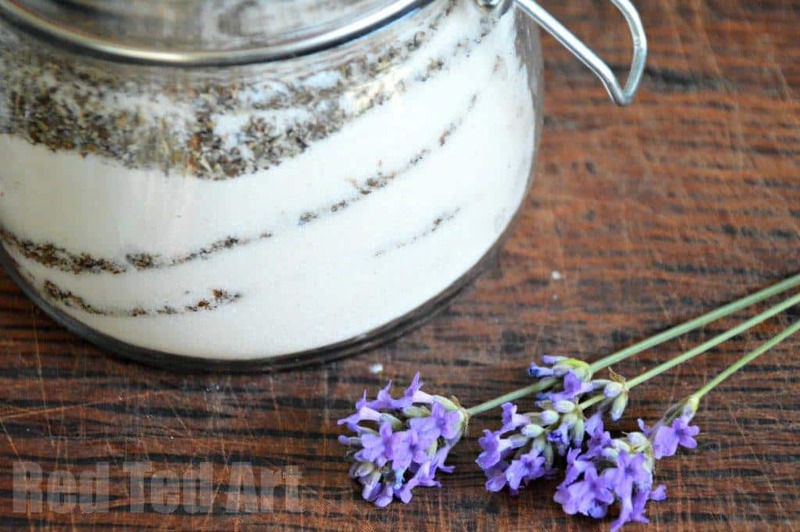 PS have you ever tried making homemade laundry detergent ? I think this is such a clever idea and definitely worth trying out! Lavender is one of my favorite scents. 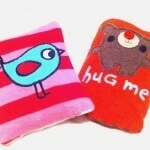 These sachets look wonderful. I’m sure it will be an appreciated gift. 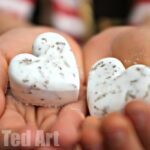 We’re using our lavender in some homemade soaps this year. We’re drying it now and hopefully, the soap will be a nice “meet the teacher” gift. It’s so cute. The sachet must be nice gift. Good flavor makes people happy. So, your friends who received your gift will be happy. But I can not wait for drying lavender fully for 3 to 4 weeks! 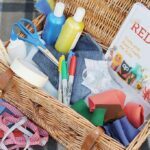 Kelly – ooh the soap will be lovely!!! 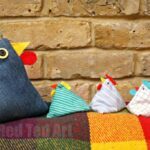 Fumiya – to be honest, my lavender is from last year. You can just hang a bunch of it away and then nearer Christmas get it down again to make gifts. lavender is one of my favorite scents and smells awesome in the washroom. I am relieved to hear that. Thank you. I like your idea. Oh Liz, you ARE a good forager!!!! I love lavender, when Goblin was younger I made him lavender pillows to play with as part of a treasure basket. I love lavender,thx for sharing. Brilliant! 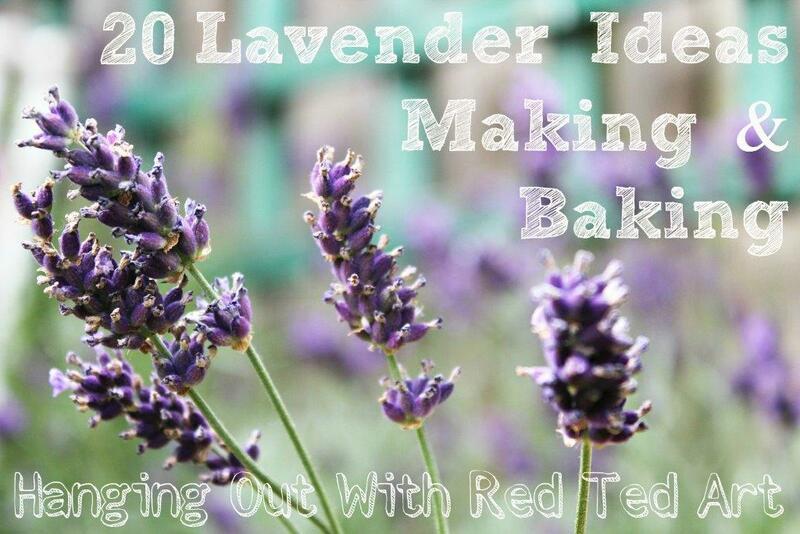 I have tons of lavender growing in my yard so I am definitely going to try this! I love lavender in the bath, it is sooooo relaxing! Those sachets look really nice. I will have to tuck this idea away for Christmas time.